​​Duke just got out of South Carolina by the skin of their teeth. 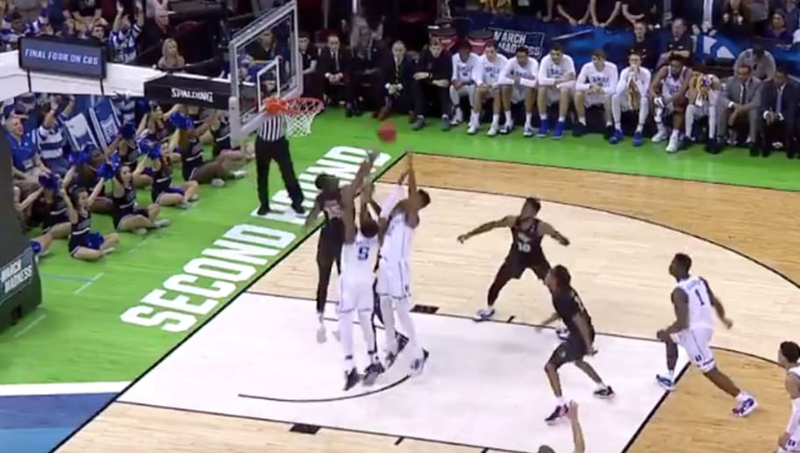 After taking UCF's best punch, and following a botched alley-oop attempt that could've extended their lead to six, Duke trailed by three points with under a minute remaining when ​Zion himself went to work. ​​This foul knocked 7-6 madman Tacko Fall out of the game with his fifth foul...which was quite important, as Zion bricked the free throw, but the not 7-6 RJ Barrett picked up the slack. Of course, UCF's last shot at winning this thing rimmed out, Gordon Hayward style. Duke moves on and likely didn't deserve to, but saw its freshman step up majorly when it mattered most. Wow.